According to a report in the USA Today newspaper, The US military has spent more than $610 million in late fees over the past decade by failing to return rented shipping containers in Afghanistan on time. The story also notes the challenges ahead of removing materiel from Afghanistan. Among the equipment to move out by the US military alone is 100,000 shipping containers. Assuming the 100,000 containers now in Afghanistan represent the military’s usual needs, the Pentagon would have saved US taxpayers money on late fees alone by simply buying the containers outright. With the current cost of a new 40ft high cube shipping container at around $5,000, a hundred thousand new containers would cost in the region of $500 million which is considerably less than the cost of the late fees – let alone the cost of renting them for up to 10 years per container. 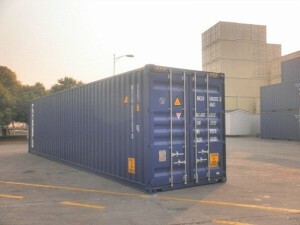 GVCT is able to supply containers for either outright purchase or for short or long term rental. If you are unsure whether to rent or buy your container, GVCT will be able to advise you on what the best solution will be. If your circumstances change, don’t worry, you can always buy the container you have on rent or we offer to buy back any container we supply (subject to condition etc.). We are even able to offer you finance lease terms, so whatever your container needs, please do not hesitate to contact GVCT and we will be able to find a solution for you even if your budget is somewhat smaller than that of the US military! This entry was posted in Uncategorized and tagged 40 foot high cube, 40 foot high cube shipping container, grand view container trading, GVCT, shipping containers.